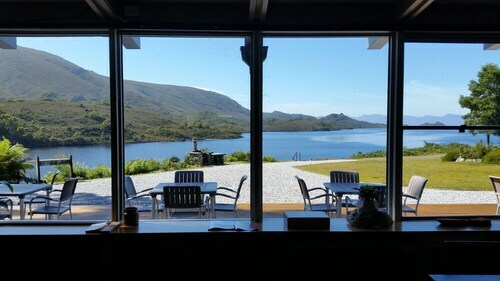 Situated on a lake, this hotel is within 1 mi (2 km) of Jacks Track and Lake Pedder Lookout. Teds Beach and Gordon Dam are also within 9 mi (15 km). Sadly, we don't currently have any hotels within Strathgordon. Don't despair! There is a range of hotel options in Maydena, which is 40 kilometres away from Strathgordon. Maydena hotels include the Maydena Country Cabins Accommodation & Alpaca Stud and Giants Table and Cottages. Don't be a Wally and miss out on the other fascinating attractions in Tasmania. Visit the open-air museums in Tasmania, and admire the area's lovely forests, rivers and mountains. Active types can also try rock climbing. If you'd like to explore some nearby cities, think about Tarraleah and Derwent Bridge. Journey 60 kilometres to the northeast of Strathgordon and you'll find Tarraleah. That said, Derwent Bridge is 75 kilometres to the north. Hotels and apartments in Tarraleah include The Lodge at Tarraleah and Tarraleah Estate. Derwent Bridge options are the Derwent Bridge Chalets & Studios and Lake St Clair Lodge. Visitors planning on flying via Hobart International Airport may like to stay at the Travelodge Hotel Hobart Airport or the Hobart Airport Tourist Park, both of which are a short trip away. How Much is a Hotel Room in Strathgordon? Hotels in Strathgordon start at AU$135 per night. Prices and availability subject to change. Additional terms may apply. Very friendly welcome, amazing location and great value for money. Food was delicious too!